ELEN Statement to Spain and the EU with regard to the pre-trial imprisonment of Catalan leaders and police violence against peaceful voters on October 1st 2017. The European Language Equality Network / La Xarxa Europea per la Igualtat Lingüística (ELEN), the Europe-wide NGO which works for the protection and promotion of lesser-used languages, and which has several Catalan member organisations, re-asserts its total support for the defence of inalienable civil, political and linguistic rights in Catalonia. To restore the legitimate, democratically elected Catalan Government. 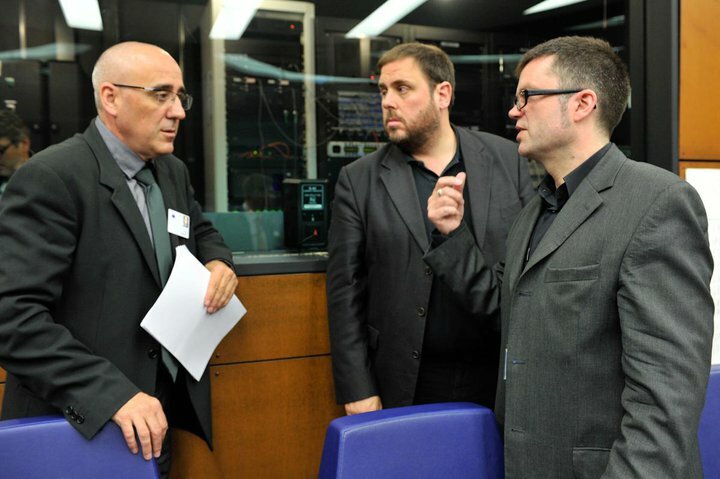 Furthermore, the pre-trial detention on trumped-up charges of Catalan leaders Oriol Junqueras, Jordi Cuixart, Jordi Sanchez, Joaquim Forn, and now Jordi Turull, Carme Forcadell, Raül Romeva, Josep Rull and Dolors Bassa, as well as the outrageous misuse of an European Arrest Warrant for Carles Puigdemont in Germany and Clara Ponsati in Scotland, are politically motivated arrests that no fully functioning democracy would allow. In addition, the organized mass violence by the Spanish Civil Guard against peaceful voters during the October 1st Catalan referendum, where over 1,000 innocent citizens were injured by the police, are a clear violation of international human rights law. Considering that the above arrests and violence against citizens are clear violations of Article 2 of the TEU, the EU, to maintain its own credibility and in order to improve its current abysmal track record with Catalan citizens, must now trigger Article 7 proceedings against the Spanish state. ELEN represents 45 languages with 150 member organisations in 23 European states. It has consultative status with the European Parliament, the Council of Europe, the UN and UNESCO. 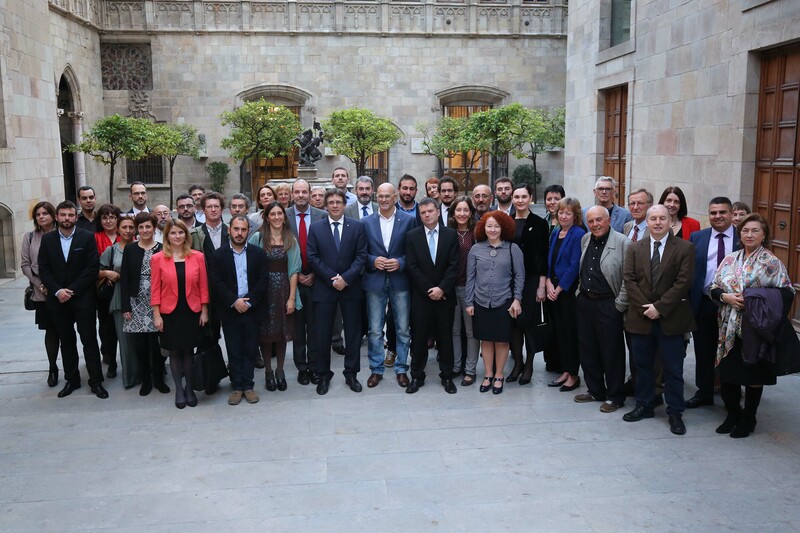 ELEN General Assembly 2016 with President Puigdemont and Minister Romeva. 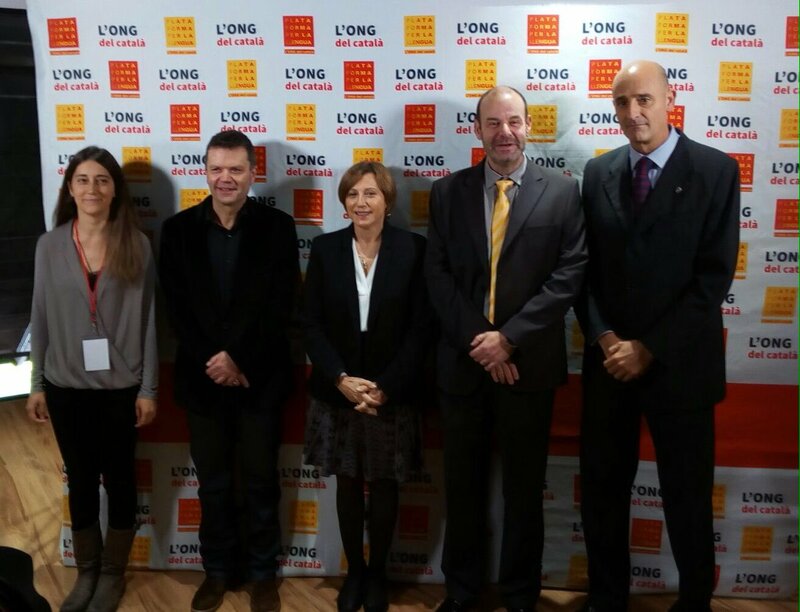 L-R Neus Mestres, Davyth Hicks, Carme Forcadell, Oscar Escuder, Jordi Moix ELEN General Assembly 2016. 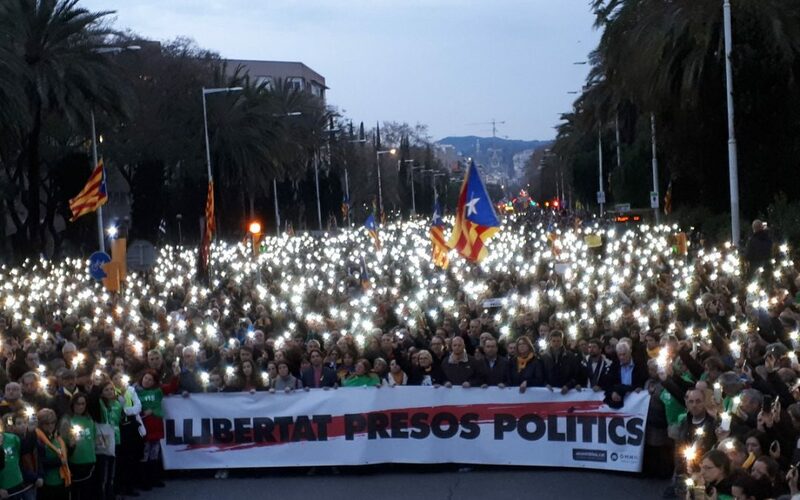 I agree with the European Language Equality Network calls on Spain to release all Catalan political prisoners and for the EU to trigger Article 7. Llibertat per a tots els presoners polítics catalans! This is not OUR EUROPE! The right on language, identity, democratic elections – are our most important values ! Elections have been the usual mechanism by which modern representative democracy has operated since the 17th century. RELEASE ALL CATALLAN POLITICAL PRISONERS! Spain shames herself and the EU demonstrates its usual lack of democratic credentials. Entirely predictable and thank goodness for Brexit. Good luck Catalan.